Nokia Lumia 920 is a new flagship Lumia phone, Which is on the way to be launched in India. The television commercial aired in India confirms the launch alongside with the Facebook page of Nokia India. The phone will reportedly hit the Indian markets by January 2013, however, Lumia 920 will not be compatible with India’s 4G network, though it comes with 4G LTE capabilities. According to the company officials, “The initial version is expected to be launched very soon but will not be able to access 4G LTE in India. The Lumia 920 show off with vibrant colors, a one-pies poly-carbonate body, and ceramic zirconium camera detailing and side keys. It give a stylish look to Lumia 920. The device available in five color variations Black, Red, Gray, Yellow, and White. The Lumia 920 has 130.3 mm height, 70.8 mm width, 10.7 mm thickness, 99 cm³ volume and 185 g weight. 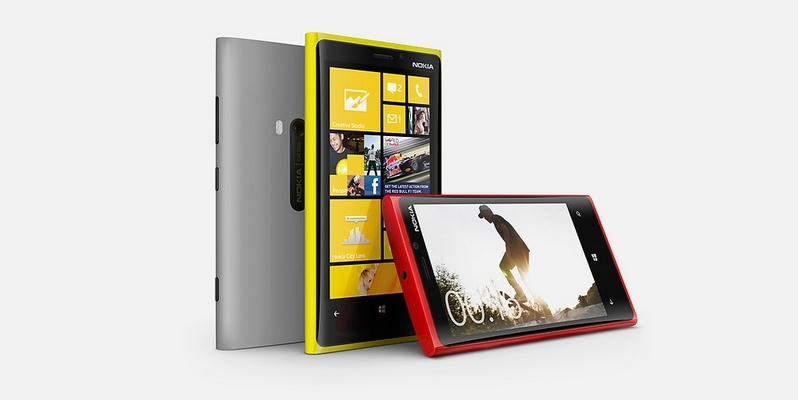 Lumia 920 come with 4.5-Inch (11.43 cm) Capacitive Multi-touch screen with PureMotion HD+ technology. The screen is made up of the toughest and sturdiest Corning Gorilla Glass that makes it scratch and fingerprint resistant. The screen support 1280 x 786 pixel screen resolution and 16777216 colors contriving to give many color combinations to make the screen vibrant and sharp effects. The display is so uncloudy and clear, that support many features, Such as Polarization filter, Light time-out, Ambient light detector, Brightness control, Corning Gorilla Glass, Orientation sensor, Proximity sensor, High Brightness mode, RGB Stripe, Sunlight readability enhancements, 332 ppi Pixel density, Luminance 600 nits, 15:9 Aspect ratio, Super sensitive touch, Color boosting, IPS, 60 Hz Refresh rate, and Sculpted 2.5D glass. All these features combine together to make the world’s most happening display ever. 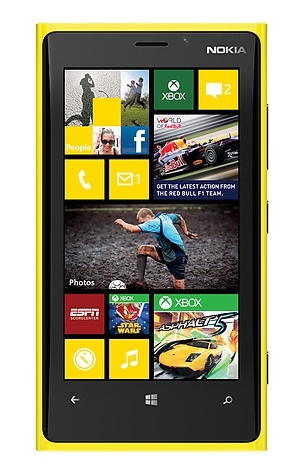 The Nokia Lumia 920 runs on the latest and most advanced Microsoft Windows Phone 8, Apollo, operating system. Nokia Lumia 920 is full of latest applications and features that will bring the whole world around you. There are many social networking sites pre-loaded in this droid and you will get many other useful files too that will help you out in dealing with your business matters. You can also download many applications and games from the Nokia store that has ample of them in the huge stock. Personal information management tools included on Lumia 920, such as Phone book, Notes, Reminder, To-do list, Calculator, Clock, Calendar, Social networks in Phone book, OneNote, and Wallet. Nokia Lumia 920 powered by 1.5 GHz Snapdragon™ S4 processor. The Snapdragon™ processor CPU cores enable extra performance when you need it and puts you in charge of running the most demanding applications, including gaming, photography, as well as business and personal productivity. Snapdragon™ S4 processor is a highly integrated, mobile-optimized system on a chip that delivers dynamic, immersive experiences and powerful. The Snapdragon™ processor unique asynchronous technology enables each core to power up and power down independently, resulting in maximizing core performance level without wasting battery power. 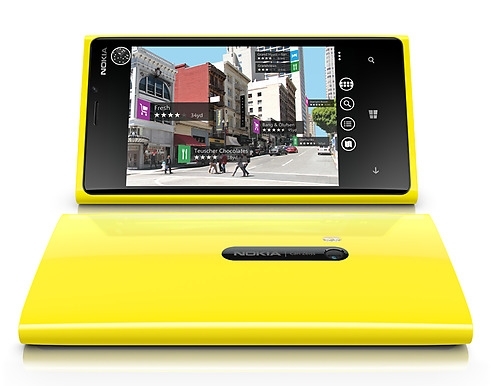 Nokia Lumia 920 come with a 8.7 Megapixel primary camera. The camera support many features, Such as Short pulse high power dual LED flash light, 4x zoom, Touch focus, Landscape orientation, Geo-tagging, Auto and manual white balance, Still image editor, Optical image stabilization, Lenses applications, BSI Sensor, and True 16:9 sensor. The camera support 3552 x 2448 pixel image capturing and save the image in JPEG or Exif picture format. Camera has Carl Zeiss Tessar lens that gives Blur Free images and videos with utmost clarity and richness. The camera also capable for 30 fps video recording. The handset also equipped with a 1.3 Mgapixel front-facing camera for making effective video calls. The secondary camera also capable for image capturing and video recording. Nokia Lumia 920 come with 1 GB RAM and a huge amount of internal storage capacity of 32 GB and user get 7 GB storage space on SkyDrive. The handset not support external memorycard storage devices. Nokia Lumia 920 offers connectivity to 2G, 3G and 4G networks at a bandwidth of 850 / 900 / 1800 / 1900 MHz for 2G, 850 / 900 / 1900 / 2100 MHz for 3G and 800 / 1800 / 2600 / 900 / 2100 mHZ for 4G network. The HSDPA downloading speed via 3G is 42 Mbps whereas the uploading HSUPA speed is 5.76 Mbps. The LTE uploading speed via 4G network is 50 Mbps whilst the downloading speed is 100 Mbps. Nokia Lumia 920 provides support to Internet through options, such as multi slot GPRS of class 12 with 4+1/3+2/2+3/1+4 slots and a maximum speed of 32 - 48 kbps, EDGE of class 12, 3G with HSPA+ speed of category 6, 4G of category 3 with LTE speed, Wi-Fi 802.11 a/b/g/n and Wi-Fi Direct via WLAN support. You can also use NFC to sync your device with the other compatible devices at high speed. It has HTML5 browser so browsing is more entertaining and lightening fast with it. You can sync the data of your Nokia Lumia 920 with other devices through Bluetooth v3.1 with A2DP, EDR and MicroUSB v2.0 and USB On-the-go support. Nokia Lumia 920 come with Li-Ion 2000 mAh 3.7 volt in-built rechargeable battery. The battery is not removable and is charged with wireless charger. With built-in wireless charging, you can power up your Lumia 920 without plugging in your phone. 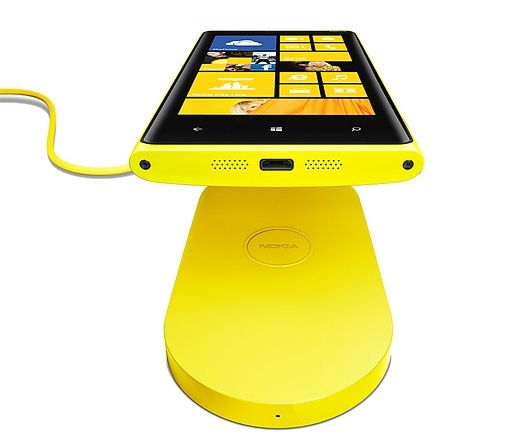 Just lay your Lumia on a colorful charging plate (OR FATBOY PILLOW) until you’re ready to go. The battery gives up to 460-hours stand by time and 10.8-hours Talk time on 3G network, and up to 460-hours stand by time and 18.6-hours Talk time on 2G network, and up to 74-hours Music playback time. Nokia PureView camera, Touch focus, Landscape orientation, Geo-tagging, Auto and manual white balance, Still image editor, Optical image stabilization, Lenses applications, Sensor type: BSI, True 16:9 sensor, Pixel size 1.4 µm, Sensor size 1/3"
The Nokia Lumia 920 coming soon in India. The phone support 4G but Lumia 920 will not be compatible with India’s 4G network, though it comes with 4G LTE capabilities. According to the company officials, “The initial version is expected to be launched very soon but will not be able to access 4G LTE in India.” The website of Nokia India listed the bands that the smartphone will work on, which includes LTE bandwidths. Reportedly, the smartphone will support 9 LTE bands in India including LTE 2100 and LTE 2600 networks also. This is even more that the Apple iPhone 5 that supports just five LTE bands.